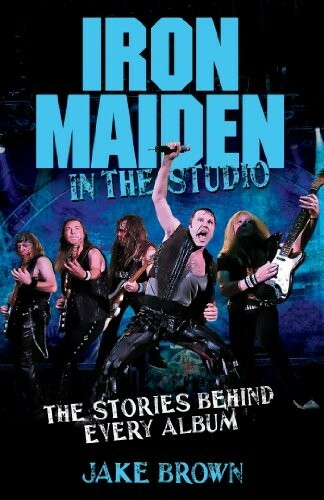 This is a comprehensive account of all the studio recordings of the Irons up until 2010's 'The Final Frontier'. Jake Brown pieces together interviews and features from a number of sources into this cohesive account of the evolution of the band, from its NWOBHM beginnings into their present mantle of unsurpassed Prog Metal kings. Interspersed with the blow-by-blow run-down of each album and its key tracks is a narrative on the personal development of the band. Line-up changes are a key factor of Iron Maiden and the inclusion of Nicko McBrain is seen as a key one as well as Adrian Smith's return to the band and so forming the Skynyrd-esque three guitar ensemble. This book is doggedly positive and upbeat about all the albums by the band and treats the Blaze Bayley albums fairly – these albums and their sales being the only relative disappointment. However, the return of Bruce Dickinson is illustrated as nothing less than triumphant and the subsequent Noughties albums are badged as being as good as the eighties classics.